Kazakhstan hosted an international conference entitled ‘Building a Nuclear Weapons Free World’ in its capital, Astana, on Monday. The gathering came as Monday marked both Kazakhstan’s 25th anniversary of the closure of the Semipalatinsk Nuclear Test Site and the UN's International Day against Nuclear Weapons. The conference was attended by government officials from some 40 countries, including South Korea’s Unification Minister Hong Yong-pyo, and from international agencies and nongovernmental organizations. Through the “Astana Vision,” participants denounced North Korea’s continued nuclear tests and expressed concerns about the continuous modernization of nuclear arms by countries that possess nuclear weapons. In a keynote speech, Minister Hong is set to call for changes in the North by citing the example of how Kazakhstan scrapped its nuclear ambitions. 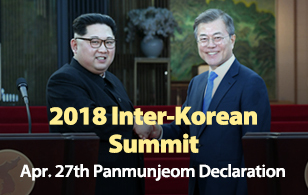 After the conference, Hong will visit the southern city of Almaty on Tuesday and explain Seoul’s unification policies to Koreans residing there.